Our recent support has come from the Space Telescope Science Institute and the Science Fiction and Fantasy Writers of America (SFWA). SFWA continues to provide the majority of our current funding for 2018, and we thank them. We also currently have a funding raising campaign to help sponsor our program. We appreciate all contributions and 100% of donations go toward workshop expenses. 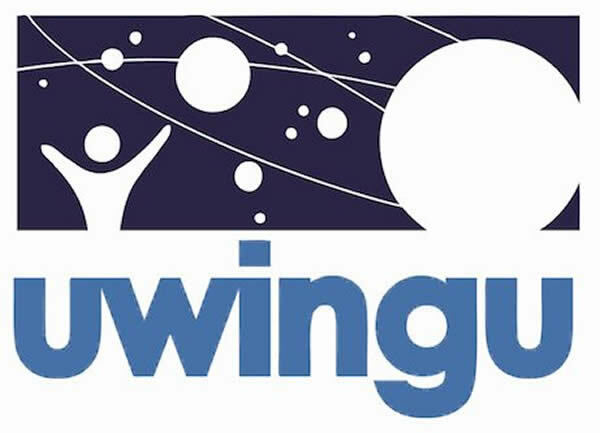 Uwingu (which means “sky” in Swahili, and is pronounced “oo-wing-oo”) is an organization led by a team of leading astronomers, planetary scientists, former space program executives, and educators. They employ novel techniques, such as exoplanet naming and adoption, to raise funds for qualified activities. 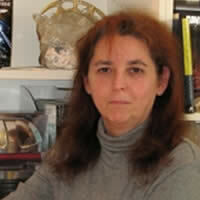 Vonda N. McIntyre is the author of the Hugo and Nebula-award winning novel Dreamsnake and the Nebula winning The Moon and the Sun. McIntyre wrote the Starfarers as well as its three sequels, later referring to it as “my Best SF TV Series Never Made”, and came up with Hikaru as the first name of the Star Trek character Mr. Sulu. 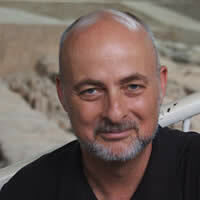 David Brin is a scientist, best-selling author and tech-futurist. His novels include Earth, The Postman (filmed in 1997), and Hugo Award winners Startide Rising and The Uplift War. A leading commentator and speaker on modern trends, his nonfiction book The Transparent Society won the Freedom of Speech Award of the American Library Association. Brin’s newest novel EXISTENCE explores the ultimate question: billions of planets are ripe for life. So where is Everybody? 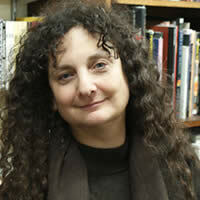 Ellen Datlow was the fiction editor at Omni magazine. She co-edited the Year’s Best Fantasy and Horror series, and now edits The Best Horror of the Year published by Night Shade Books. 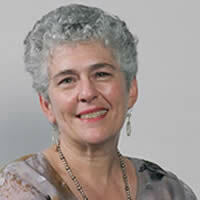 Among her many awards are the Hugo for Best Professional Editor in 2002 and 2005, and for Best Short Form Editor in 2009 and 2010. She co-hosts the Fantastic Fiction reading series at the KGB Bar in NYC. In 2013, Queen Victoria’s Book of Spells, an anthology edited by Datlow and Terry Windling, will be published by Tor Books. Jody Lynn Nye is the author/co-author of over forty published novels and over one hundred short stories, specializing in science fiction, fantasy action novels, and humor. Her humorous series include The Magic Touch and Mythology 101. 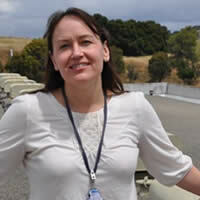 Her military science fiction include Strong Arm Tactics and View from the Imperium. Jody began collaborating with Robert Lynn Asprin on the MythAdventures series in 2003. 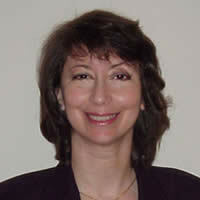 Ater Asprin’s death in 2008 she continued MythAdventures and is now writing sequels to his contemporary fantasy series, Dragons. She currently teaches the annual Science Fiction Writing Workshop at Dragon*Con. 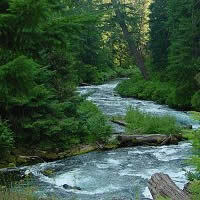 is a writer living in the Pacific Northwest. He is a regular story contributor to the award winning WORDOS Writer’s Workshop, a clarion based critique group consisting of mainly Science Fiction and Fantasy writers. He is the first place winner in the Ghost and Ghouls category of the 2003 Planetree Publishing Limited writing competition for Dead Man Stout, and second place for his story Thoughts Out of Time which appeared in MOTA 4 Integrity by TripleTree Publishing. He is currently at work on his first novel, Tears of the Shaman. Ali Ries (DBA Casperium) is a digital artist specializing in space and astronomical art. Her work has been featured in Star Trek: Stellar Cartography (cover), the film Star Trek: Renegades, Discovery Networks series Through the Wormhole and Curiosity, and Universal Television/Studios BSG: Blood and Chrome. She is currently working on the digital effects for the upcoming movie Space Command, and the web series Nobility. 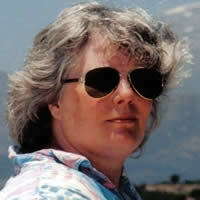 Deborah J. Ross began publishing professionally in 1982 as Deborah Wheeler with Jaydium and Northlight, and short stories in Asimov’s, F & SF, Realms Of Fantasy, Star Wars: Tales From Jabba’s Palace, and most of the Sword & Sorceress anthologies. Under her birth name, Ross, she continues the Darkover series created by the late Marion Zimmer Bradley. Her original novels include the epic fantasy trilogy, The Seven-Petaled Shield. Two of her stories, Mother Africa and The Price of Silence earned Honorable Mention in The Year’s Best SF.